Semi-automatic and easy to use with storage capacity for 26 lbs or oranges. 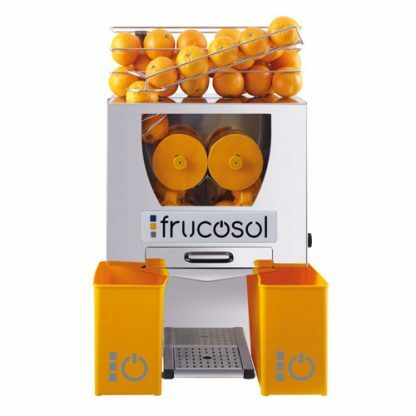 The Frucosol F-50 commercial orange juicer is an efficient, reliable and stunningly designed machine. It gives a high yield of juice per fruit by only pressing the inside of the fruit. The pulp, pits, and peel are left behind so that the juice is non-bitter and smooth tasting. Also, the flavor of the juice is not affected by the oils and acidity contained in the peel. The Frucosol F-50 is semi-automatic and easy to use. Also, cleaning after use is a breeze. 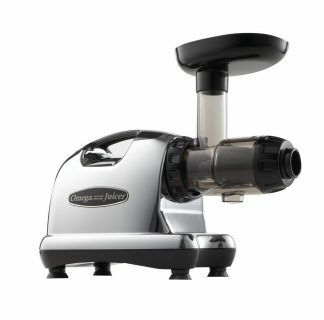 Dismantling, rinsing and reassembling the parts that come into contact with the juice is incredibly quick and uncomplicated. The model F-50 has a storage bin on the top of the machine that holds about 8 pounds of citrus. When you want to juice, place up to 7 citrus in the feed chute and start the machine. The unit will automatically feed the citrus in the feed chute. The Frucosol line of commercial juicers is designed to have the smallest number of moving parts as possible. The results of this simple design cause the Frucosol commercial juicers to require very little maintenance, if any. 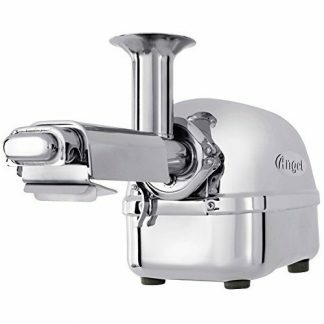 These juicers have more stainless steel and less plastic and are very heavy duty. With proper care, the F-50 should last a lifetime. The Frucosol F-50 juice machine will provide your establishment with profits, time saving and a good image. It can be adapted for any type of business or environment such as: baker’s shop, tea salons, coffee-shops, health food stores, supermarkets and hotels. These systems are unique throughout the world. Two cups gather the fruit, which is cleanly cut by a blade and divided into two halves. The juice is then extracted from both halves of the fruit by pressing. Only the inside of the fruit is pressed and the juice does not come into contact with the peel, while the pulp remains in the shell. The result is that the flavor of the juice is not affected by the oils and acidity contained in the peel. RELIABILITY – Quality controls during the manufacturing process guarantee the perfect operation of all our models for the end-user. CLEANING – Dismantling, rinsing and reassembling the parts that come into contact with the juice is incredibly quick and easy. QUALITY OF FLAVOR – The peel is not crushed, nor does the juice from the fruit pass over it, meaning that the flavor is not affected by oils or acidity. ATTRACTIVE DESIGN – Its design and operation are highly attractive to the customer, giving rise to a desire to drink a natural, freshly juiced citrus juice. VOLTAGE: 110 V / 50-60 Hz. Refreshingly Superb Honestly a purchase made impulsively, I really have no regrets buying this juicer. I wake up every morning refreshed because I can juice fresh oranges with this instead of drinking from cartons that have too many artificial sweeteners.